Your wedding is meant to celebrate you as a couple, and the unison of your families. If your family includes a dog, why not provide special attention and care for it on your wedding day? Our Dog Sitter service is available for your four-legged friends: an expert professional will take care of the well being of your pup throughout the entire wedding day. The Dog Sitter will start to take care of its client during preparations, taking the dog for a walk or out to play. If the Municipality or parish allows it, the Dog Sitter can even guide your dog down the aisle as your ring bearer, allowing it to actively take part in the grand event! Even at the reception, the Dog Sitter will set up a doghouse and a play area for the dog right by the reception hall, so it will always be close to its owners. On request, we can also provide photo shoot and grooming services; you can also choose to order accessories for your faithful friend to match your dresses, such as bowties and Swarovski or stone-studded collars. 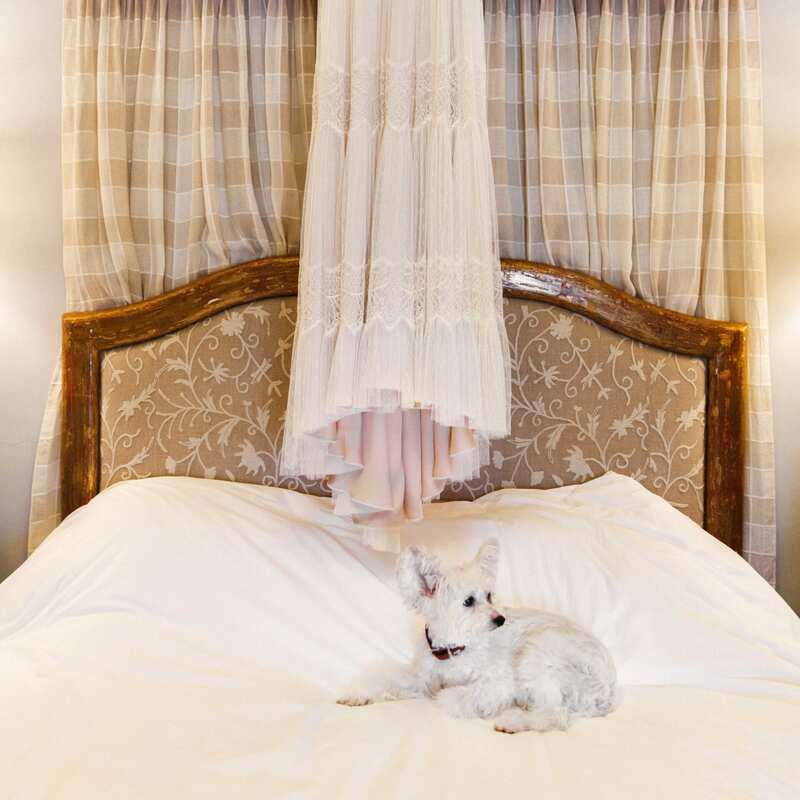 The Dog Sitter service is aimed to guarantee the dog’s well being during your special day, allowing both you and your guests to enjoy a stress-free environment during celebrations.